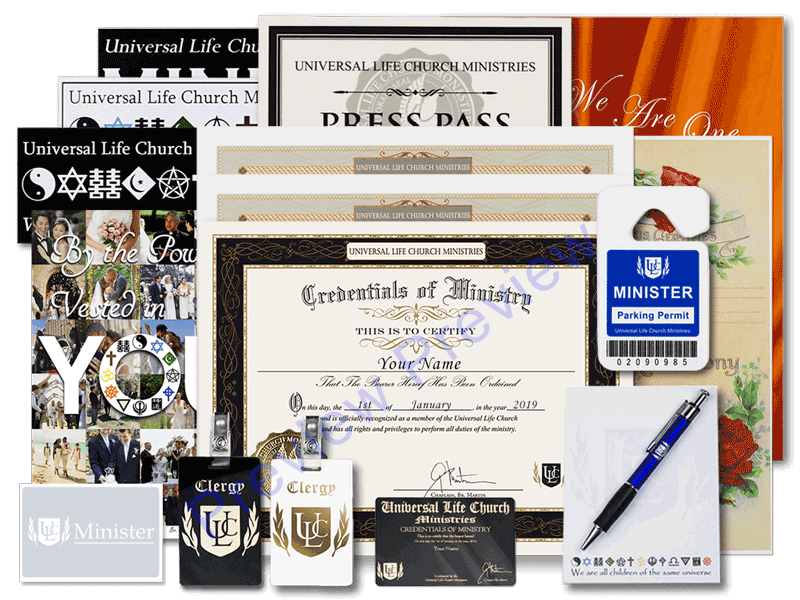 Combining everything from the classic wedding set and ordination set, it also includes an upgraded version of the ministry credential with gold foil. With the help of the book By the Power Vested in You, you will have what you need to create a customized ceremony for any couple. 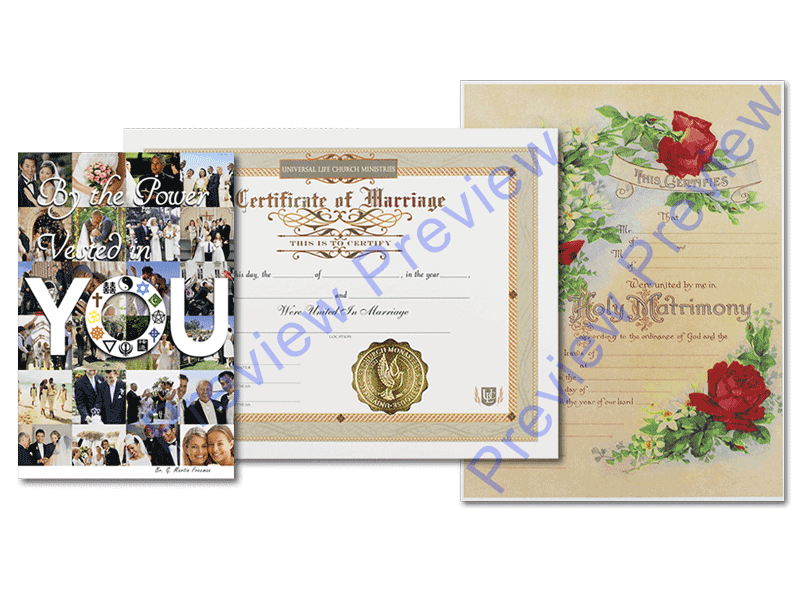 This kit also includes several commemorative wedding certificates that you can gift to the couple on their special day.